The Basketball Spotlight 7th Grade Division was loaded with national talent. Here’s Part 3 of our Top Performers. 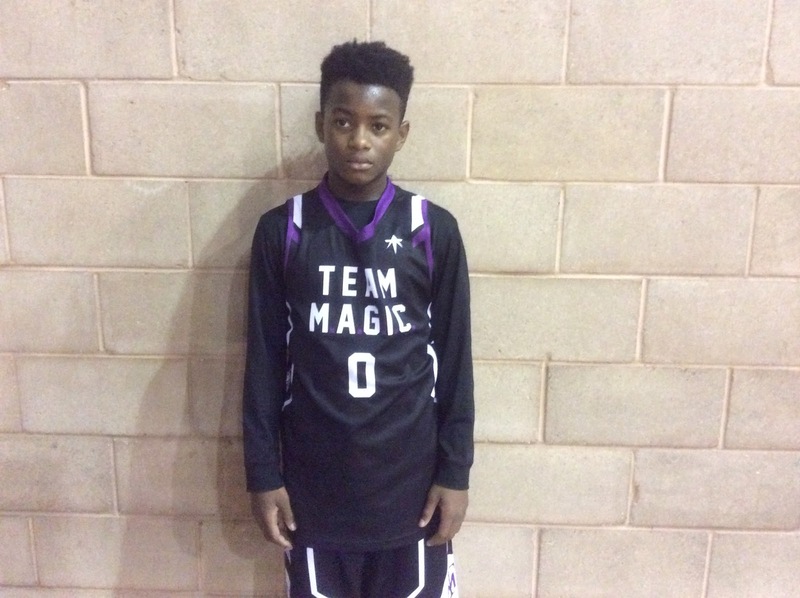 Dariq Whitehead Forward (Team Magic)- Whitehead looked and played like the best 7th Grade prospect in the building. The long, lanky wing stretched out to finish on the break, showed improved ball handling and play making ability. I like his feel for the game and how his outside shot has expanded beyond the 3 point line. He averaged double figures throughout the weekend including a big outing (21 points) versus the NJ Shore Shots. 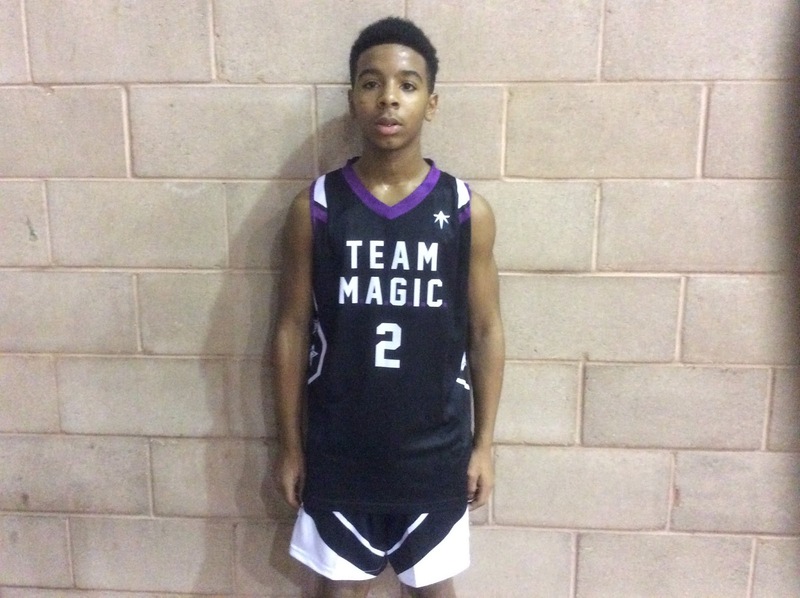 Tyler Hawkins Guard (Team Magic)- Hawkins has point guard instincts but he seemed he was wired to score this weekend. He got to the cup in transition and in the half court set. He used speed, power and ball handling to get the job done. He pumped 16 points versus PSA Cardinals and 22 points versus NJ Shore Shots. 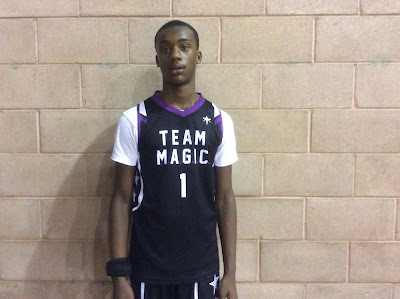 Darrell Victory Guard (Team Magic)- Victory was the third scorer of the bunch and teamed well with Hawkins in the backcourt. He can handle the rock and create plays. I also like how he stretched the defense from the perimeter and attacked the gaps from the wing. He tallied 17 points in their win against NJ Shore Shots. 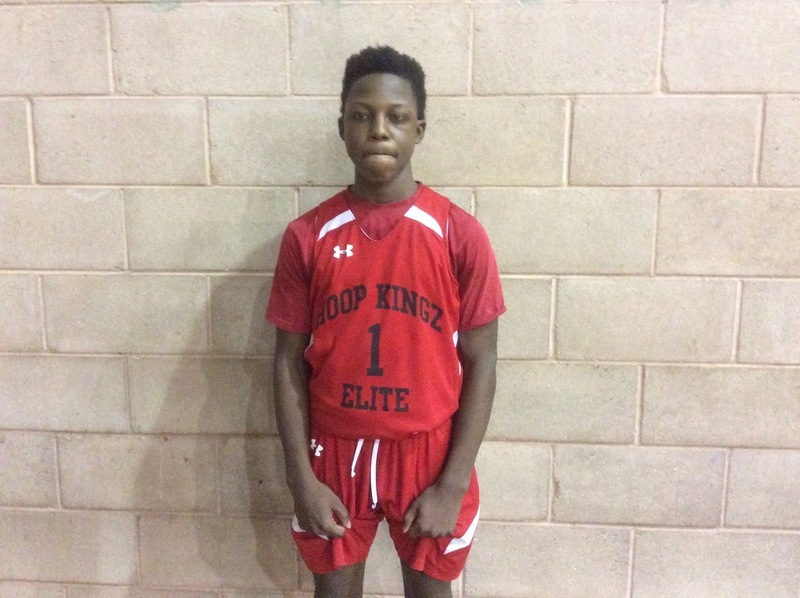 Jaewuan Abrams Guard (Hoop Kingz)- Abrams was a breath of fresh air at the Tip Off Classic he controlled the tempo and broke down defenders all weekend. He gets into the lane with ease while diming teammates and scoring with a dynamic floater. His feel for the game stood out. He also can hit the trey ball when left open. Antonio Sellers Forward (Gauchos)- The highly ranked forward showed his versatility once again at the Spotlight. His size and court awareness makes up for his lack of speed. He sees and shoots over the defense with ease at times. He also can initiate contact which helps him live at the charity stripe. His best game was his 21 point performance against Hoop Kingz. Francisco Mattei Forward (Gauchos)-Mattei handles the rock a little more this year but it doesn't take away from his effectiveness near the cup. He still finishes strong on the baseline and in the paint. He came up big against Hoop Kingz as he made 3 free throws to tie the game with no time remaining in regulation. Kameren Rodriquez Guard (Gauchos)- The point guard showed flahses of being a good floor general. He was able to get up and down while dazzling the crowd with a couple of dribble drives. He has the poise and skill level beyond his years which makes him an important piece of this puzzle.